It’s probably the most riveting front-page drama in Israel today. Its outcome will decisively affect regional developments, including the Iranian nuclear crisis, for years. And you probably haven’t heard a word about it, alert reader though you are. The world press has barely mentioned it. I refer to the race to succeed Israel’s military chief of staff, Lieutenant General Gabi Ashkenazi. By law, his replacement will be named by the defense minister, Ehud Barak, with the approval of the prime minister and Cabinet. Israelis follow military promotions the way they follow soccer. This round is a doozy. It’s got intrigue, backstabbing and potentially criminal skullduggery. Less noticed, it’s also part of a charged ideological struggle within the military over the uses and limits of force. It starts with Barak and Ashkenazi. They loathe one another, for reasons that aren’t fully clear. Common speculation is that the socially inept Barak is jealous of Ashkenazi’s popularity with the troops and the public. Some say Barak fears Ashkenazi will enter politics and challenge him for Labor Party leadership. Ashkenazi’s aides deny it. It’s no secret that Barak and Prime Minister Benjamin Netanyahu mistrust Ashkenazi’s lack of enthusiasm for the prospect of attacking Iran. He favors letting diplomacy play out. Caution in picking fights isn’t uncommon in the senior ranks, but it’s dwindling. Opponents call it timidity. The feud isn’t new. Ashkenazi was chief of the army’s Northern Command in 2000 when then-prime minister Barak ordered a unilateral withdrawal from Lebanon. Ashkenazi executed it flawlessly, but didn’t hide his opposition. Like much of the senior brass, he believed Barak should first have sealed his nearly finished peace treaty with Syria, which would have muzzled Hezbollah. Without an agreement, they warned, South Lebanon would be wide open for a Hezbollah takeover. This past April, Barak called a showdown. He announced that Ashkenazi’s four-year term would not be extended for an optional fifth. The term wasn’t up until February 2011, nearly a year away. Nobody can remember such an early a transition. Barak’s announcement branded Ashkenazi a lame duck — “just about the most irresponsible portrayal one could possibly muster of Israel’s No. 1 soldier,” the Jerusalem Post editorialized, particularly when Israel “faces existential challenges.” It also left plenty of time for the succession to become an ugly free-for-all. And it did. On August 4, Barak announced his candidate interview schedule. On August 5 he met with the first candidate, a long shot. On August 6, the process blew sky-high when Israel’s Channel 2 unveiled a leaked document seemingly aimed at tilting the race. The document was purportedly a strategy memo prepared by a PR firm for the presumed front-runner, Southern Command chief Yoav Galant, Barak’s favorite. Among the recommendations: media efforts portraying Ashkenazi as a crybaby and discrediting his favored successor, Northern Command chief Gadi Eisenkot; and sidelining a third contender, Deputy Chief of Staff Benny Gantz, by touting him for Shin Bet director. Galant insists the memo is a hoax meant to sabotage him. Police are investigating. Meanwhile, the process is frozen. Who is Galant? He’s close to Barak and on frigid terms with Ashkenazi. He was military secretary to former prime minister Ariel Sharon before taking the Southern Command in 2005. Two of his operations have drawn international condemnation for their death tolls, Operation Cast Lead in Gaza in 2008-2009 and the May 31 raid on the Turkish-led Gaza flotilla. By several accounts, Galant sketched out both operations directly with Barak, bypassing his own boss Ashkenazi, who reportedly had misgivings about both actions. According to an August 13 account by Yediot Aharonot military commentator Alex Fishman, Ashkenazi ended up telling Barak his doubts about the flotilla raid in writing, after seeing plans concluded without him. His misgivings about Cast Lead are cited in the so-called Galant Document as a vulnerability. Who is Eisenkot? Like Galant, he was military secretary to a prime minister — in his case, ironically, Barak. But they parted on strained terms. After several operational stints Eisenkot was named chief of Northern Command in September 2006, three weeks after the bungled Lebanon war. The war’s losing combination of maximum force and minimum payback had sparked demands for a house-cleaning. Overseeing the cleanup was then-defense minister Amir Peretz, a Labor dove and arch-rival of Barak. Working alongside Peretz was his top aide, Ashkenazi. Eisenkot was the first of the new crew. Ashkenazi followed, named chief of staff in January 2007 to replace the war’s disgraced architect, Sharon protégé Dan Halutz. Eisenkot is best known outside Israel for a 2008 interview announcing the so-called Dahiyeh Doctrine, under which Israel would answer any firing on its borders with massive force against the point of origin, whether military or civilian. The interview led Israel’s critics abroad to label Eisenkot a war criminal. Watch the hands, not the mouth. On August 3, Lebanese army snipers killed an Israeli officer along the border fence. Eisenkot’s un-Dahiyesque response was rifle, artillery and helicopter fire targeting unoccupied Lebanese army buildings, to avoid igniting all-out war. Contrast that with southern Israel, hit with rockets from Gaza four days earlier, July 30, causing no casualties. Galant replied, Dahiyeh-style, with bombing raids on Hamas targets in northern, central and southern Gaza, killing a wanted Hamas gunman and wounding 13 others. Diplomacy or maximum force? Hey, we report; Ehud Barak decides. 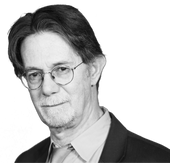 This story "The Struggle Over Israel’s Military Strategy" was written by J.J. Goldberg.